Fell free to introduce yourself. Stop here and say hello. Last edited by DavidH on Sun Mar 07, 2010 12:19 pm, edited 2 times in total. View New Posts: See which threads have been updated since you last visited (you must be logged in, of course). Forum regulars often use this as their entry point. Last edited by DavidH on Sun Mar 07, 2010 12:13 pm, edited 1 time in total. Clicking on this icon will bring you straight to the first new post. Last edited by DavidH on Sun Mar 07, 2010 12:14 pm, edited 1 time in total. You can have as many "home pages" as you like in your browser. These are pages that open automatically when you start the browser. 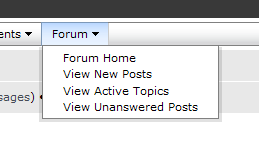 Why not make the forum one of your home pages so you don't forget to check in every day? The New Posts page is a particularly good one to choose. You will now get an email the next time a post is added to the thread. There is a similar feature for subscribing to an entire section of the forum (eg Society). Just look for the Subscribe forum link at the end of the page. If you want to open a link in a new browser tab (keeping the current page open), just hold the Ctrl button while clicking the link. If you are on a Mac, hold the Command button instead. This works for any site, not just this forum. Poor spelling makes it harder for others to read what you have written. Most spelling errors can be eliminated before you post thanks to spell-check features in modern browsers. I highly recommend Paint.NET for image manipulation, eg resizing. It's free, easy to use and very capable. I've put a new limit on image size of 800x800 pixels on the forum to avoid filling up the server with enormous images.